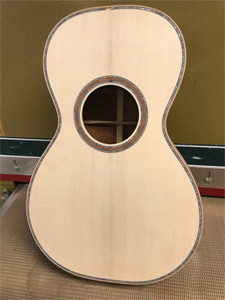 The Artisan Guitar Show is very pleased to present a handcrafted Circle Strings 12 Fret Parlor Guitar as our 2019 door prize. 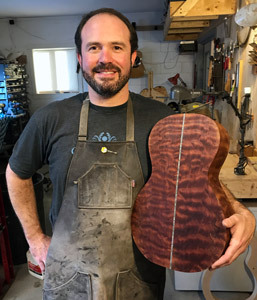 To learn more about “The Tree” visit our guitar build project partner StewMac here. Please check back to follow the build process. This door prize promotional activity is operated by Motoring USA LLC for the Artisan Guitar Show event. The door prize promotion is provided as entertainment only. No purchase is necessary to be entered as a participant. Tickets for entry in the door prize promotional activity are not available for sale and may not be purchased. One (1) numbered ticket will be given to any party in attendance at the Artisan Guitar Show. 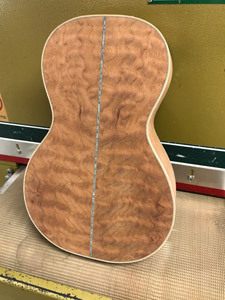 These tickets will be available upon request between the hours of 10:00 AM – 2:45 PM on Sunday, April 14, 2019 at the Artisan Guitar Show Box Office. Two (2) numbered tickets will be given to any Weekend Pass ticket holder in attendance at the Artisan Guitar Show. These tickets will be available upon request between the hours of 10:00 AM – 2:45 PM on Sunday, April 14, 2019 at the Artisan Guitar Show Box Office. Five (5) numbered tickets will be given to any VIP ticket holder in attendance at the Artisan Guitar Show. 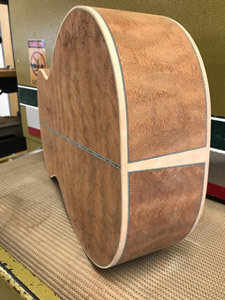 These tickets will be available upon request between the hours of 10:00 AM – 2:45 PM on Sunday, April 14, 2019 at the Artisan Guitar Show Box Office. 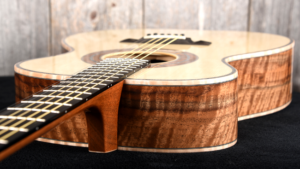 The drawing for the door prize promotional activity and award of the prize will conducted on Sunday, April 14, 2019 at 3:00 PM on the Artisan Guitar Show Concert Stage. The winner of the door prize must be present to win. 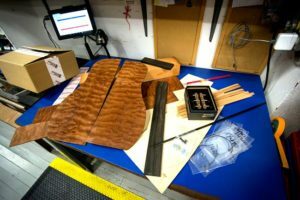 The winner must appear in front of the Artisan Guitar Show Concert Stage in Harrisburg, Pennsylvania at the Artisan Guitar Show at the time of drawing and the award of the door prize. The winning ticket will expire ten (10) minutes after being announced and another winning number will then be declared. This process will be repeated until a winner is present and declared. The winner must be a resident of one of the 50 United States of America or the District of Colombia or reside in a location where participation in this door prize promotional activity is not prohibited. The winner must be age 18 or older. The winner hereby acknowledges that winning the door prize may create a tax reporting responsibility and tax payment liability and that the winner is responsible for any taxes and all related fees. The winner hereby agrees to sign a model release permitting Artisan Guitar Show all rights to use his/her image and fact of winning for all purposes.